Turn-key home gated community is located in Los Tucanes named after the large variety of wildlife that visits the community daily. The community offers a great pool with seating areas and security. The turn-key home is truly that, turn-key. All you would need it your toothbrush. The home has two bedrooms, two bathrooms, a large open kitchen-living room area, large outside patio area, car port, beautiful garden with tropical flowers and much more. Herradura is home to the best zipline action around and filled with wildlife and fauna. Turn-key home gated community is located 7 minutes from the Los Suenos marina, Marriott, golf course and restaurants. 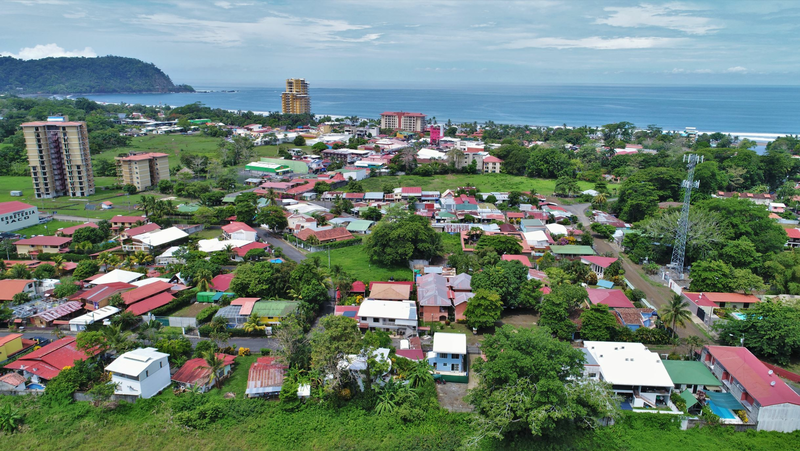 The town of Herradura is located only 10 minutes North of Jaco, home to great amenities like restaurants, bars, shopping, movie theatre, art and much more. Contact us today for information on this home or to schedule your private showing.